The Illinois Housing Development Authority finances the construction and preservation of affordable housing throughout Illinois and administers several programs to help you locate the rental home or apartment that suits your needs. Listed below are helpful resources that can be used to find an affordable place to rent. ILHousingSearch.org will allow you to search thousands of affordable, subsidized and market rate units throughout Illinois. You can customize your search based on your specific needs, budget, and desired location. The service is also available through a toll-free, bilingual call center at (877) 428-8844. The tool below will help you search for affordable rental developments that were built or rehabilitated using IHDA financing. Properties on this list may not currently have vacancies. To check the availability of units or reserve your spot on a waitlist, please contact the developments directly. *Accessible units are designed to accommodate persons with degrees of physical challenges, and may include features like widened doorways, low thresholds, wheelchair friendly kitchens and bathrooms, lower-reach shelving and counters, or features for residents with hearing and visual impairments. IHDA contracts with local agencies and select properties around the state to provide rental assistance. The contacts on the lists below can help you apply and, if eligible, place you on a waitlist for an appropriately sized apartment. You must be prepared to move into a participating property in order to receive rental assistance from either program. Provides rental assistance to extremely low-income households living in participating properties. Contact the agencies directly to apply. Note for Chicago renters: The City of Chicago administers its own version of the Rental Housing Support Program. If you currently live in or are interested in living in Chicago and are in need of rental assistance, please contact the Chicago Low-Income Housing Trust Fund at (312) 744-0676. Provides rental assistance at select properties across the state. Contact properties directly to apply. 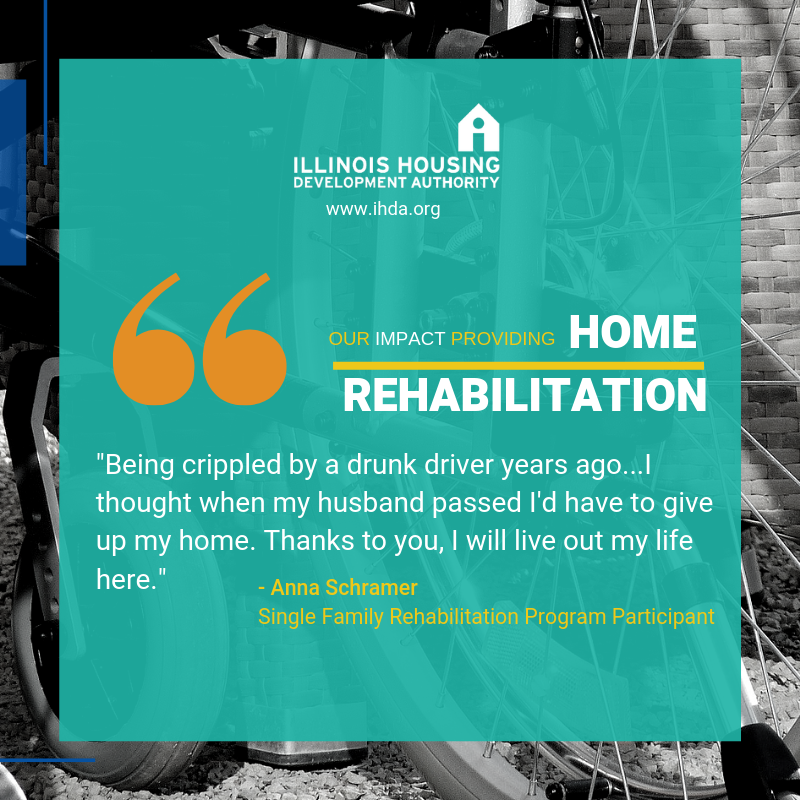 The Moderate Rehabilitation Program provides rental assistance to low- and very-low income households living in participating properties in Cook and Will Counties. Below is a list of participating properties and their waitlist status. Contact the property directly to be placed on an open waitlist. Applications are only accepted for open waitlists. Please check back periodically for changes in waitlist status. This federal program provides rental assistance for very low income people who find their own housing in private homes and apartment buildings. Please note that IHDA does not issue or accept applications for Housing Choice Vouchers. Contact a public housing agency in your community to apply. The Department of Housing and Urban Development’s affordable apartment search can help you find subsidized apartments in Illinois. To apply or to reserve your spot on a waitlist, please contact the developments directly. Start your search for a subsidized apartment. The following is a list of other tenant resources comprised of state agencies, emergency shelters and legal agencies that that may also be able to provide housing related services. Emergency and transitional housing providers give immediate shelter services to homeless persons and persons at risk of becoming homeless. Contact an Emergency and Transitional Housing Provider. Housing counselors are another option that can help you understand your options. Some counselors can help resolve landlord/tenant disputes, locate temporary housing or rental assistance, or find legal representation if necessary, while others provide homeownership services. The HUD website below lists the type of services provided by each agency. Contact a HUD-approved counseling agency.